The build server machine is the machine in your network that is responsible for building the sources. 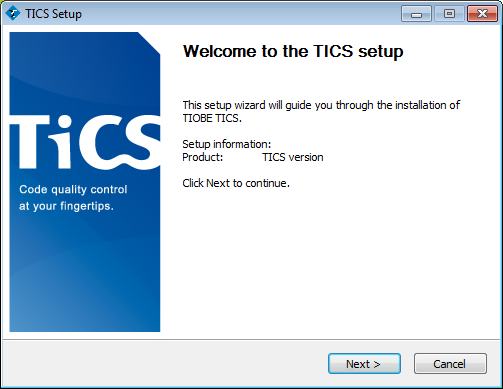 The TICS Build Service component runs on the build server and communicates with the Viewer. This makes it possible to invoke a TICS analyze from within the Viewer for example. This chapter describes how the Build Server is installed. The build server installation will create Windows Start menu shortcuts to the Viewer components. These only work if a Web Server section is specified in the FileServer configuration. 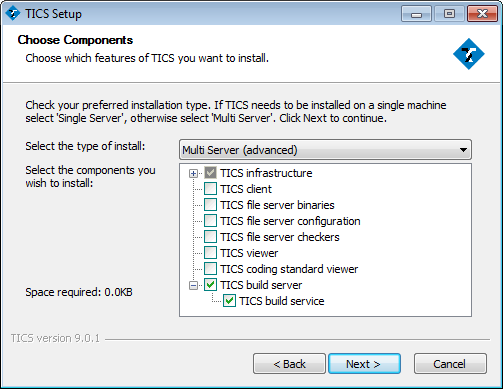 Choose "Multi Server" in the combobox and make sure the options "TICS build server", "TICS buildservice", and "JRE" are checked. The latter can be found under "TICS Infrastructure". 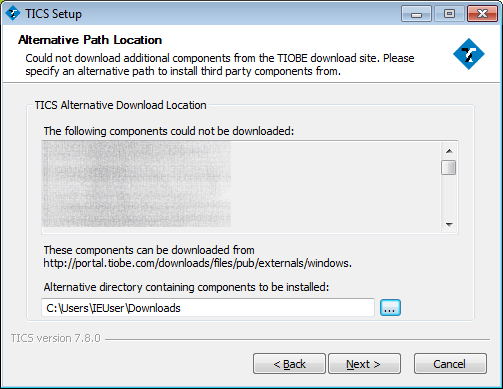 Select the location for the build server as the "Destination Folder", e.g., "C:\Program Files\TIOBE\TICS". 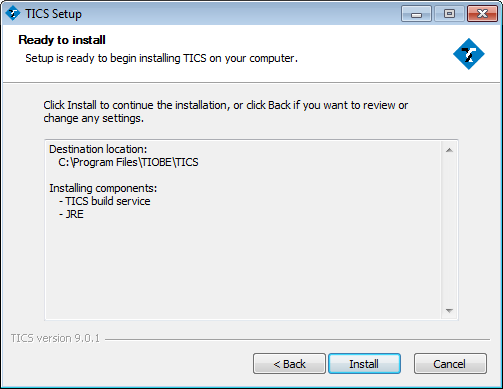 A "BuildServer" folder will be generated here by the installer. Click "Next >". 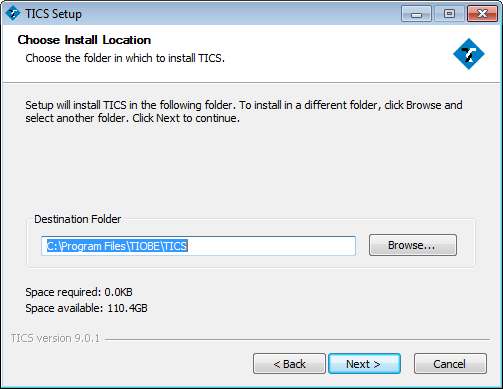 Select the directory of the TICS configuration, typically located on the TICS File Server which you installed in a previous step. 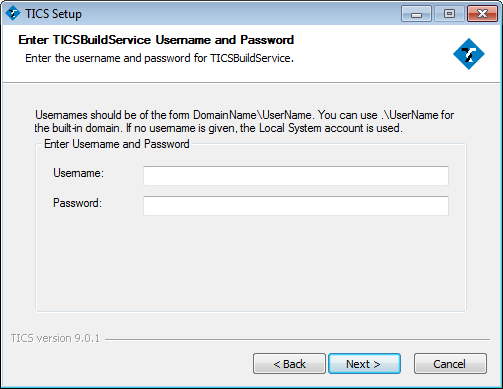 Fill in the username and password for the account that should be used to run the TICS Build Service. If not specified, the local system account should be used. 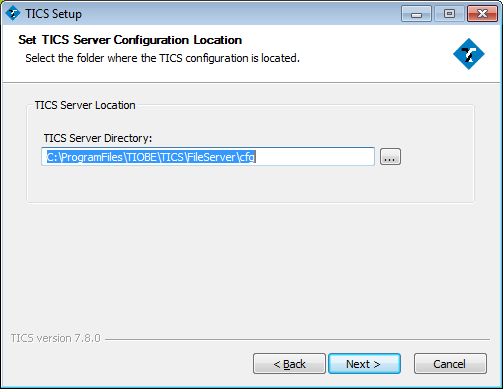 You can change the account under which it runs via the Windows Services panel, in the TICS Build Service properties. The account that is used should have network access to the File Server. 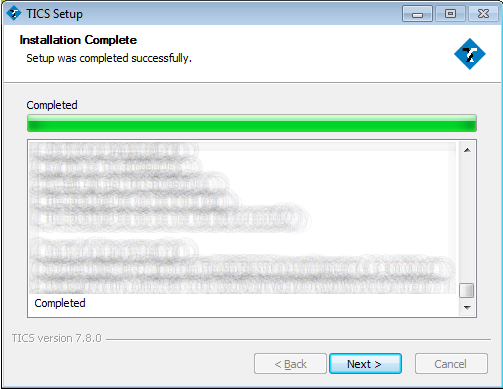 Wait until the installation has completed and click "Next >". The Build Server installation is complete.